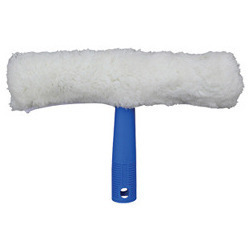 Used to clean floor, walls & ceiling. Special Split Bristles which cleans & collects fine dust particles. This product comes with 3.5 ft light & strong Metal Handle. We are offering of Window Washer to our client. We have been counted amongst the most trusted names in this domain engaged in providing Window Washer. This Window Washer is available in different sizes and shapes as per the client’s demands. 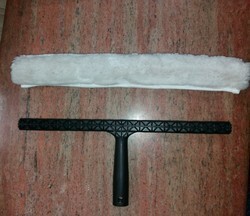 Furthermore, it comes with adjustable length which helps in efficient cleaning. Window Washer is used to apply Glass Cleaning Chemical before using window squeegee.